Chievo vs AC Milan predictions ahead of this clash in Serie A. Can the Rossoneri claim another win to keep up their top four chase? Read on for our match preview and free betting tips. Two sides at opposite ends of Serie A clash on Saturday night, as Chievo host AC Milan. That sees one of the form sides in Italy heading to the team bottom of the form table. With the visitors on the march, they are looking to strengthen their grip on a top-four place by securing a win in this trip to Verona. Can Gennaro Gattuso continue Milan’s climb? The hosts remain rooted to the bottom of the Serie A table, following yet another defeat last time out. They were beaten 3-0 at Torino, which has left them 12 points shy of safety. The Gialloblu are slipping closer and closer to Serie B, and they’ll be expecting their fall into the second tier to continue this weekend, as they prepare to host one of the league’s most in form sides. The Rossoneri are scoring goals, playing well and stringing their form together. They have managed to get into their best position in the second half of the season in six years after moving into third. They’ve got a great chance to kick on from here and book their spot in the Champions League next term. They have some favourable fixtures ahead, especially this trip to the league’s worst side. Chievo have claimed a point in their last four games, scoring in none of those matches. No side in Serie A has scored fewer goals than Chievo, while they have the league’s worst defence. It’s a worrying combination, and it plays into the hands of a Milan side who are firing on all cylinders right now. The visitors invested well in January to improve their forward line, but they’ve also made strides in defence. That hasn’t come through investment but through coaching. Gattuso is stitching together the defensive talents that the Rossoneri can boast, and that’s given them one of the league’s best defensive records. Since the beginning of December, Milan have conceded the fewest goals within the top five European Leagues (five), whilst only Barcelona and Liverpool (nine each) have kept more clean sheets than the Rossoneri (eight) in the same period. Chievo have failed to score in half of their league games, while Milan have kept a clean sheet in 35% of their matches. In 11 matches in 2019, the Rossoneri have conceded three goals – one each to the three top-scoring sides in Italy this term. Against a blunt Chievo attack, they should be able to hold out. Given that Milan have already claimed clean sheets in their two trips to the other sides in the bottom three, we see them winning to nil in Saturday night’s encounter with Chievo. Milan have won each of their last five Serie A games against Chievo, scoring at least three goals each time, but have never kept a clean sheet either. 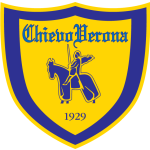 Chievo have not found the net in their last four league games – the Gialloblu’s worst such run in Serie A was five games between 2005 and 2012. 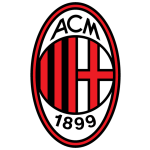 During the first 13 games in Serie A this season, Milan faced, on average, 12.5 shots per match (17 goals conceded), while over the last 13 matches, the average number of shots faced has been 12.1 (only five goals conceded). Milan sit third in Serie A after 26 matches; the last time they held such a high position in the table during the second half of the season was back in 2012-13. Chievo (85 mins) have lead for the fewest number of minutes at home in Serie A this season, while Milan (73 mins) have trailed for the fewest in away matches in the competition in 2018-19. In Serie A in 2018-19 Chievo have conceded more goals during the last 15 minutes of matches than ant other side (14). Chievo’s Emanuele Giaccherini’s first Serie A goal came against AC Milan back in September 2010 (with Cesena). Indeed, against the Rossoneri, he also scored a goal back in January 2016, with his side winning on both occasions. In 27 Serie A starts, Milan striker Patrick Cutrone has scored 12 goals (including one against Chievo in March 2018); in the 26 in which has appeared from the bench, he has managed just one goal.